Given the enormous success of Adidas's past relaunches of the Stan Smith and Superstar sneakers from their arsenal, it's only natural that they'd continue to unearth vintage styles for a fresh new audience of sneakerheads. Their latest style to return is (drumroll, please) the Gazelle! The sneakers originated in 1966 and were next relaunched in 1991. A narrower-toed take on the sneakers, the Gazelle OG, has been around since the early 2000s. The brand is set to release the early-'90s version on June 3 across the Europe and US, and will roll out the suede three-stripe sneakers in 53 colours (!) throughout the course of the year, according to WWD. The sneakers will start at £55 and will be sold at Adidas and Urban Outfitters stores, as well as online. We love the recent shift from the predominately-white sneakers of the past few seasons to more colourful options. The relaunch of the Gazelle will only solidify that trend. Get ready to see these everywhere, as was the case with Stan Smiths and Superstars. 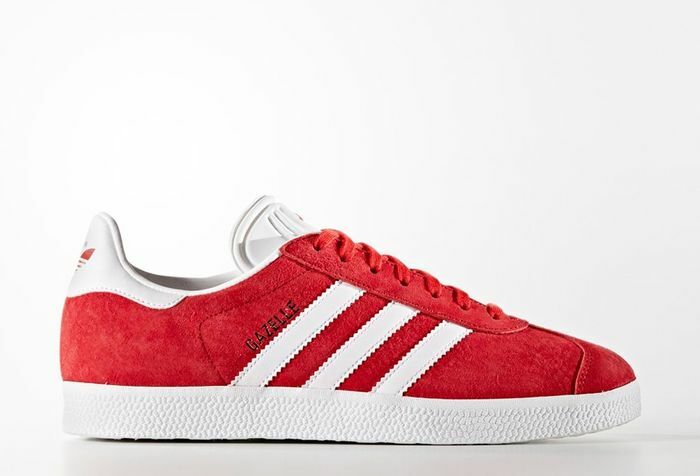 Keep scrolling to get a look at the Gazelles that will be available on June 3, and shop the Gazelle OGs in the meantime! Click here to find out the dos and don'ts of wearing sneakers.